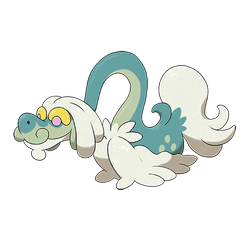 Drampa does not evolve/is not evolved into. Sun It has a compassionate personality, but if it is angered, it completely destroys its surroundings with its intense breath. 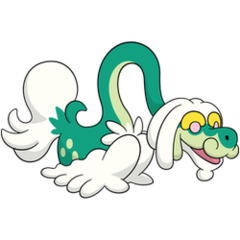 Moon This Pokémon is friendly to people and loves children most of all. It comes from deep in the mountains to play with children it likes in town.